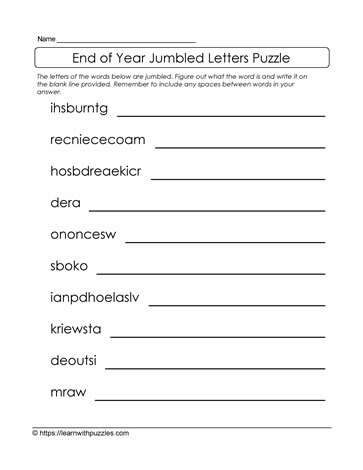 This year end jumbled letters puzzle is sure to keep kids busy as they apply problem solving strategies to solve the puzzle. Use knowledge of letter patterns, end of school year vocabulary, and word structures to unscramble the letters to create the words. No word bank makes for more of a challenge.